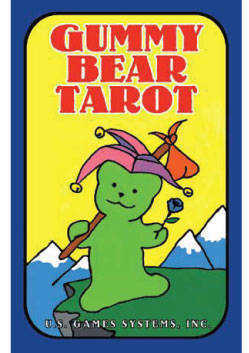 Gummy Bear deck © U.S. Games Systems, Inc. 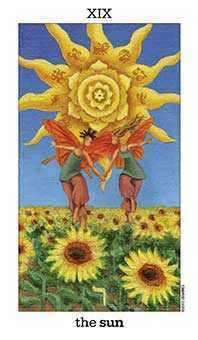 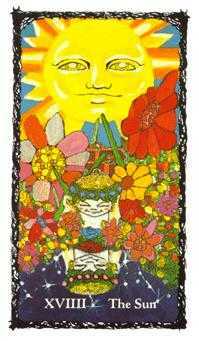 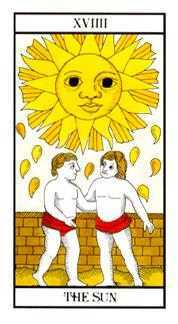 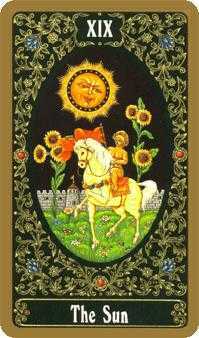 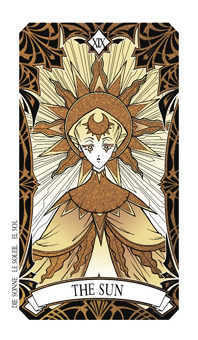 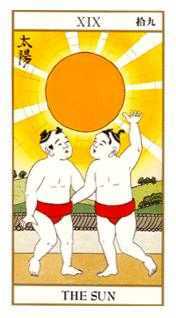 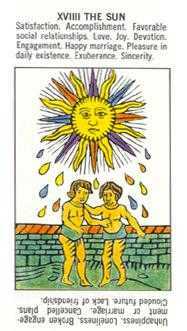 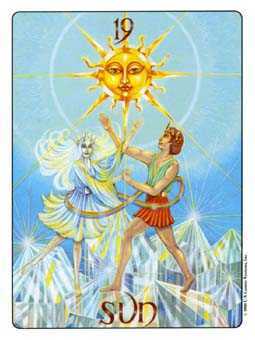 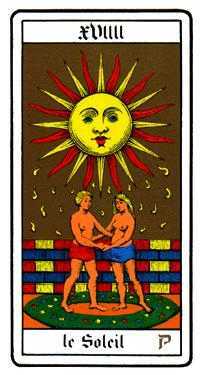 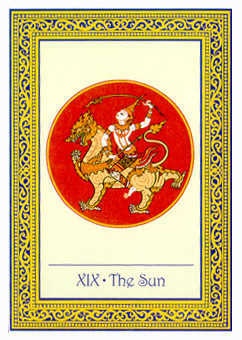 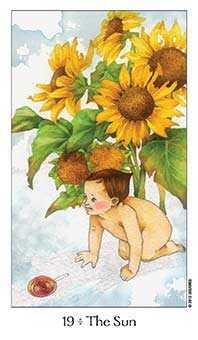 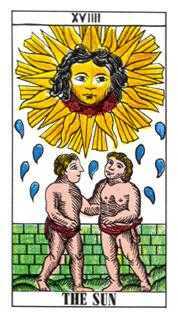 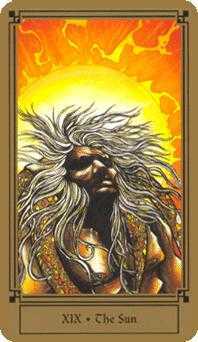 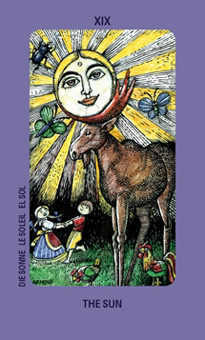 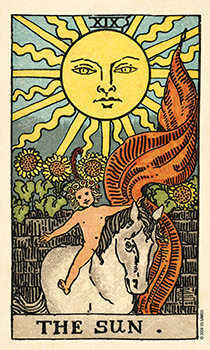 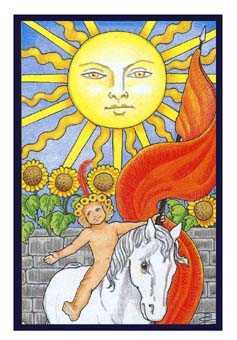 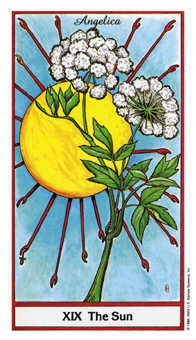 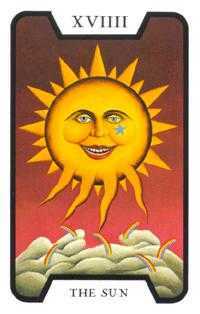 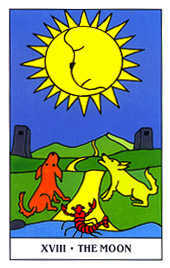 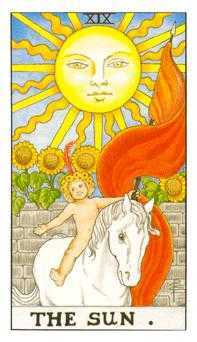 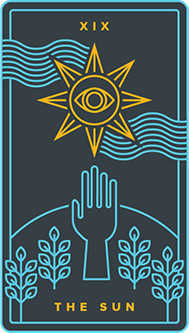 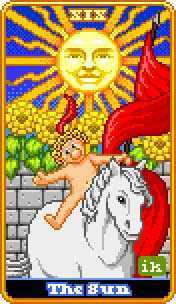 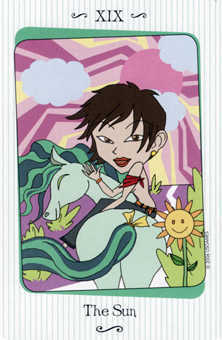 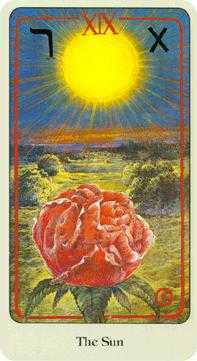 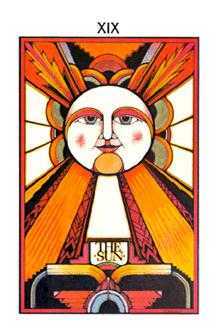 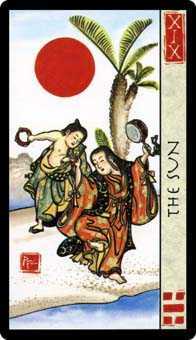 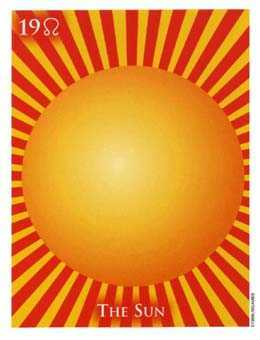 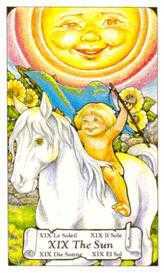 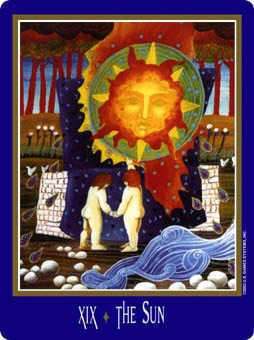 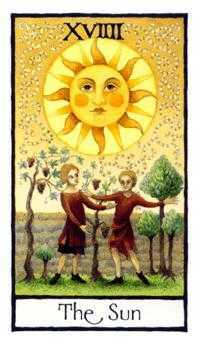 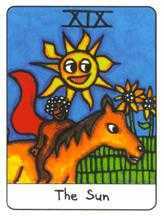 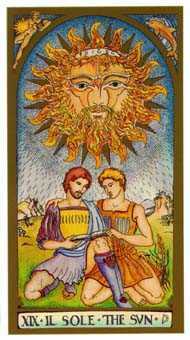 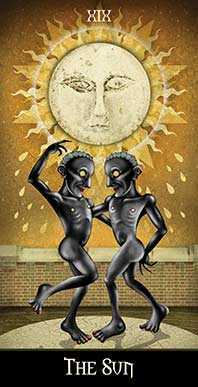 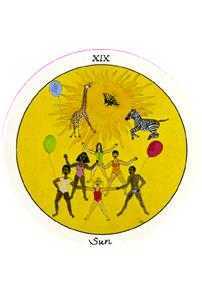 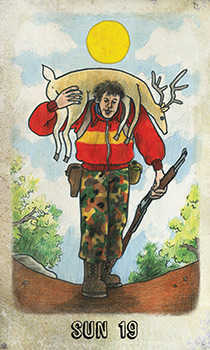 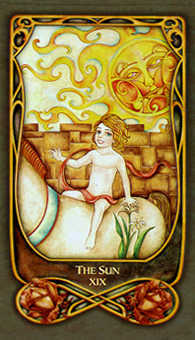 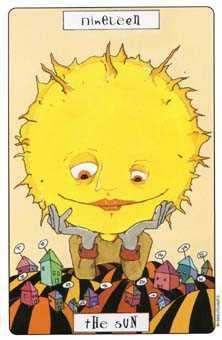 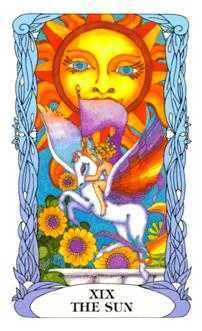 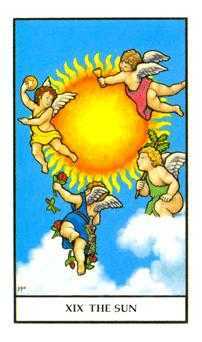 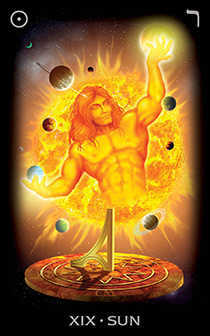 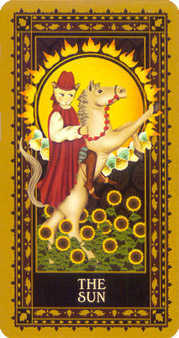 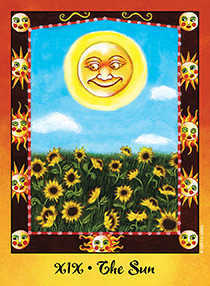 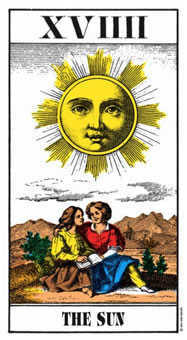 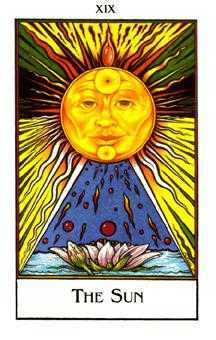 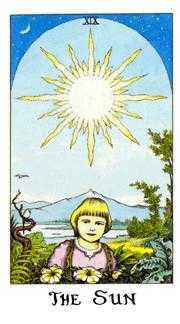 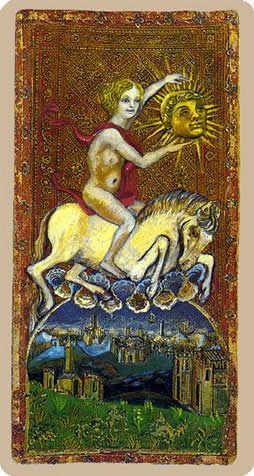 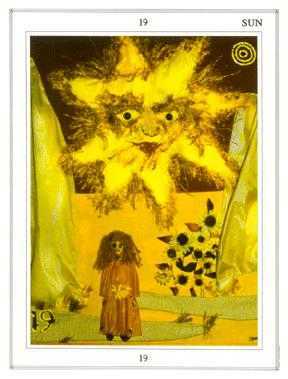 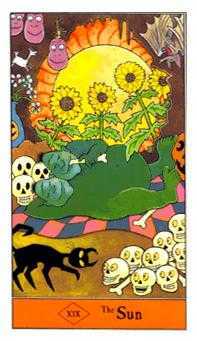 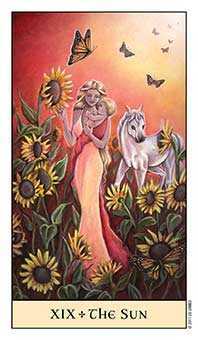 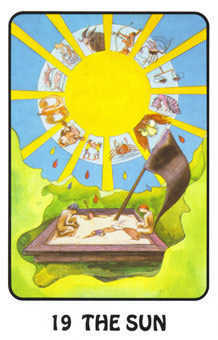 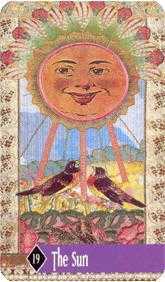 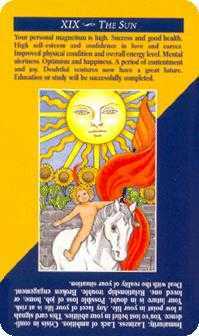 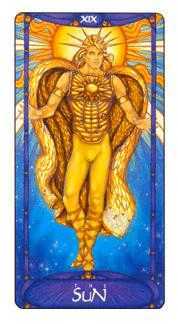 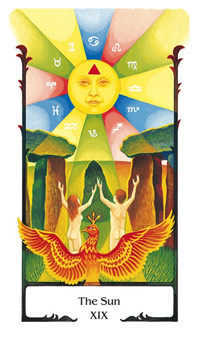 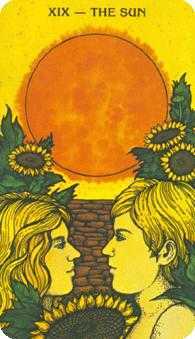 The Sun card is about the self -- who you are and how you cultivate your personality and character. 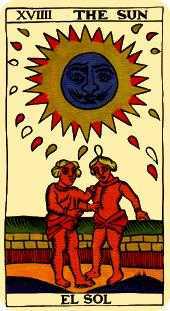 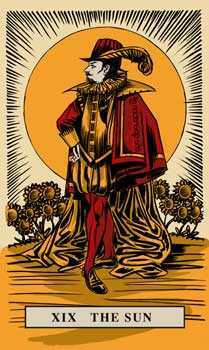 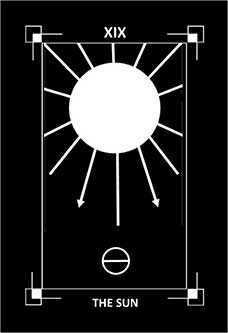 The Sun's radiance is where one's original nature can be encountered in health and safety. 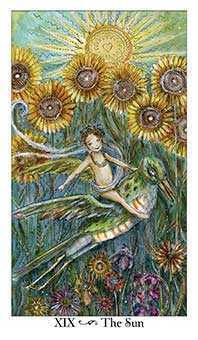 The limitations of time and space are stripped away; the soul is refreshed and temporarily protected from the chaos outside the garden walls. 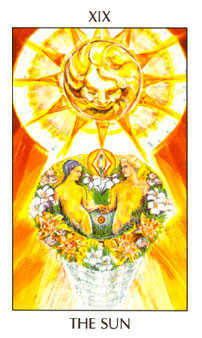 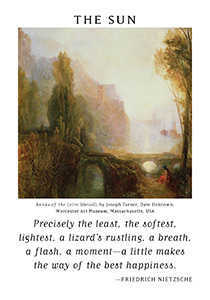 Under the light of the Sun, life reclaims its primordial goodness, truth, and beauty. 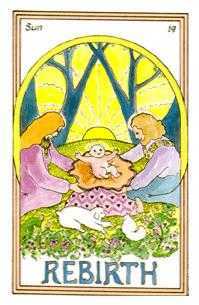 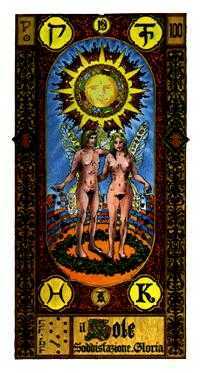 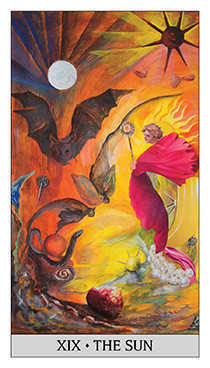 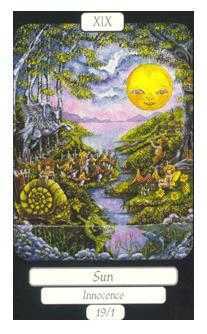 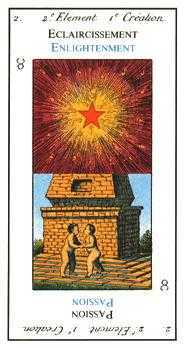 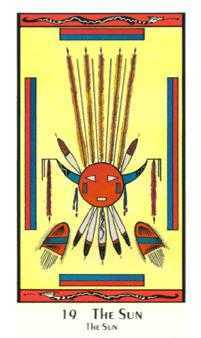 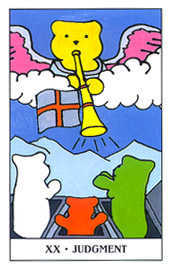 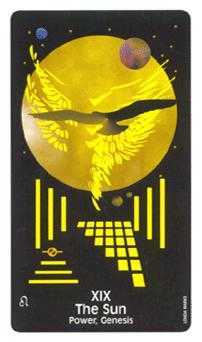 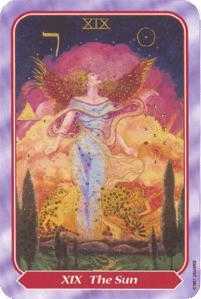 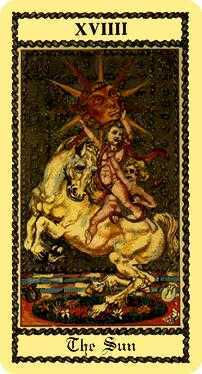 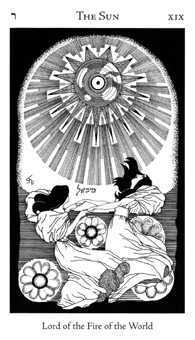 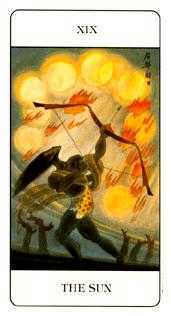 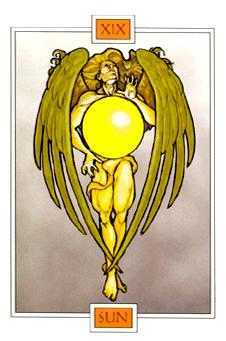 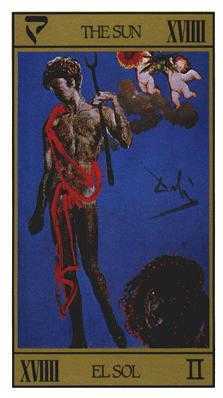 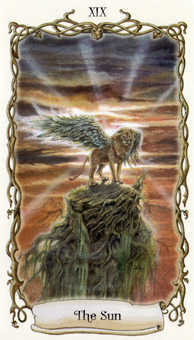 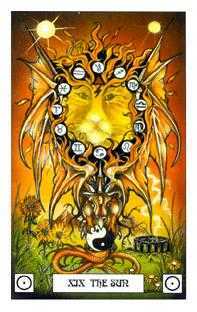 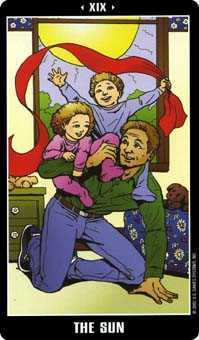 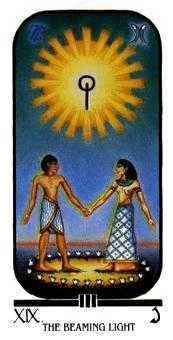 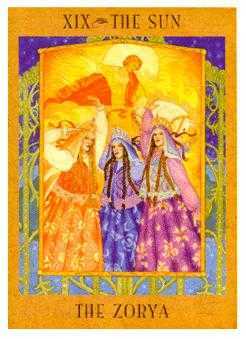 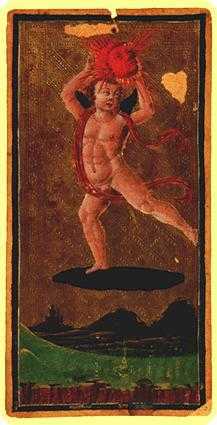 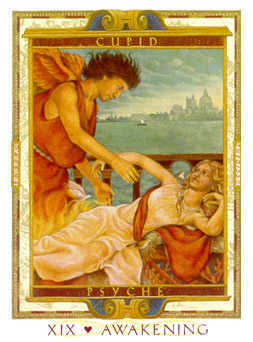 If one person is shown on this card, it is usually signifying a human incarnation of the divine. 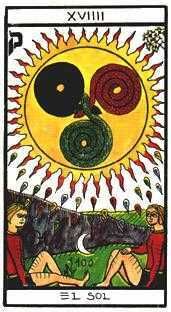 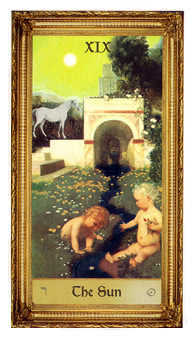 When two humans are shown, the image is portraying a resolution of the tension between opposites at all levels. 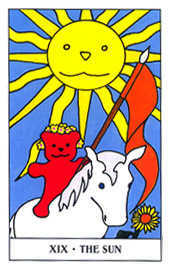 It's as if this card is saying "You can do no wrong -- it's all to the good!" 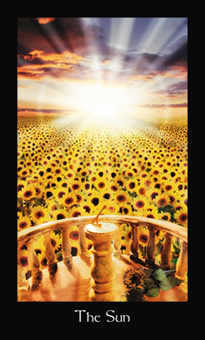 Let your light shine. 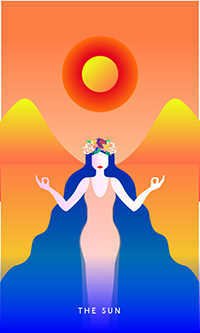 Be confident in the sacred power of your original nature. 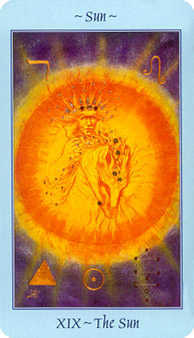 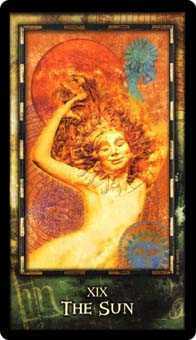 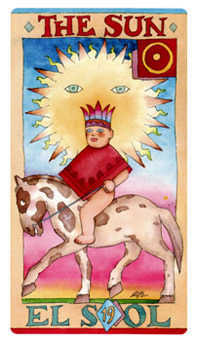 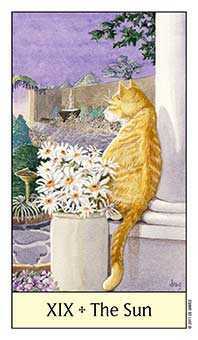 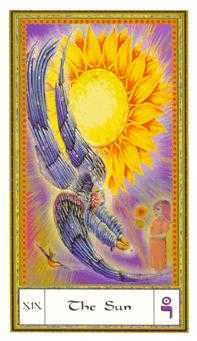 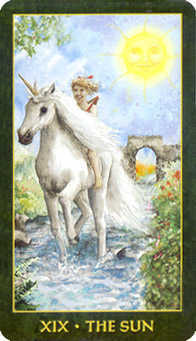 The Sun card advises you to have confidence in your natural divinity. 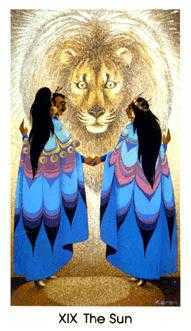 Throw off any cultural conditioning that keeps you from being authentic with yourself. 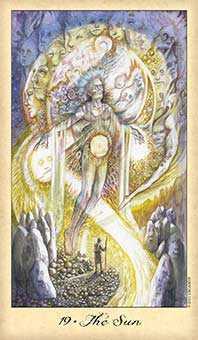 Step into the full light of truth and reveal your motives and principles. 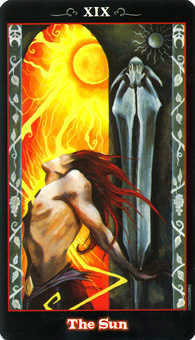 Once done, you will no longer give away power to the people that criticize and shame you. 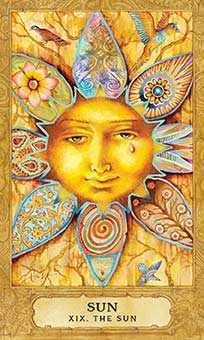 Focus on the positive and the real. 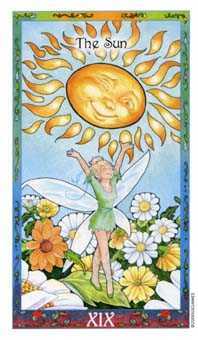 Your authentic shining self can be a light for others if you project it without contrivance.